The J-series engines were first introduced in 1996 and it was Honda’s 4th V6 family. The engine itself is a 60° V6 with features such as Variable Cylinder Management (VCM) system and VTEC. 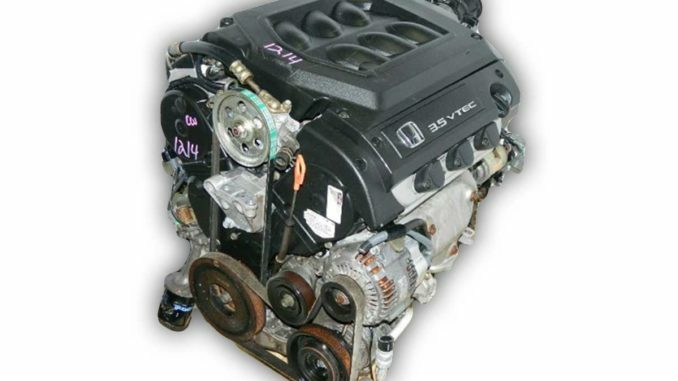 The most well-known engine in this family is the Honda J35 and it’s installed on several different Honda models. We know how popular this engine is as an engine swap for older Honda models, although, it’s not as popular as something like the B-Series or K-Series. These engines are a V6 and were designed to be transversely mounted. Not only do they have shorter bore spacing, but they also have shorter connecting rods. These engines also have a smaller crankshaft than the C-series. The reason the crankshaft is smaller is to make the engine smaller altogether. Mounting a V6 transversely can be difficult so Honda took as many measures as they could to decrease the size. All of these engines are SOHC 4-valves per cylinder and have VTEC variable valve timing. While this engine is installed in cars from other manufacturers, there are quite a few Honda models that have this engine installed in them. These engines are mostly in mid-size vehicles. The reason being, this engine would kind of be overkill for something as small as the Civic, but for a minivan or small SUV, this engine is perfect. These are only a handful of the Honda vehicles that use this engine. With that being said, the engine is installed on several of the same models and the only difference are the years that the models were manufactured. The first issue that these engines are known for is oil leaking through the VCM gaskets. The model that has had most of the issues and cases of the oil leaking is the Honda Pilot, although other vehicles with this engine have experienced the issue too. The good news is it can be easily repaired by buying a gasket kit and just replacing the gaskets. This can be done at home, which means your repair bill will be much smaller than if you took it to a shop. Another common issue comes from the VCM system. VCM works by shutting down some cylinders at cruising speed to decrease the effective displacement and thus decrease consumption. There are reports online have the VCM system causing noises, vibration and/or shudders, excessive engine sludge (although this is probably due to poor maintenance), and abnormal oil consumption. These are the 2 most common issues with this engine and they are both relatively easy repairs, as long as you get to them quickly and don’t let the issues get worse. Keep in mind, other issues can come up since it is a piece of machinery. Just make sure you get your vehicle looked at as soon as an issue appears so you can reduce the risk of more expensive damage. Thankfully, if you’re looking to make this engine faster you’re in luck because there are quite a few things you can do to do this. Keep in mind, though, building up the engine can get expensive and be extremely time-consuming. The things you can do in terms of tuning the engine for faster performance are listed below. Using all of these parts will actually increase your power to about 320-330 horsepower. If you didn’t want to take the time, energy, and money to buy all these parts, you could buy a supercharger kit and install it right on the stock internals and get the same amount of power. Not only will this reduce the overall cost of building your engine, but you’ll save quite a bit of time. I have a (new in the crate) J35a4 short block, will J32a2 heads fit without the J32a2 pistons?